Clinical hypnotherapy is an excellent tool that digs deep into your subconscious mind to remove the self-sabotaging mechanisms that cause weight gain. Hypnosis for weight loss can work even when you’ve tried everything else and failed. If you’ve been bled dry by every pill, potion and fad diet on the market, I have good news for you. You’re sick and tired of hearing this mantra…right? Most of my clients already know ‘how’ to lose weight. After all it’s pretty simple in theory, isn’t it? So if it’s that simple, why are we as a nation getting fatter? It’s because the piece of the puzzle haven’t yet found is the one that solves the head space problem ; that is, the subconscious reasons why you’re NOT doing what you need to do consistently. Right now there are dozens of hidden beliefs in your subconscious mind that point to the same theme: ‘I can’t do it’. 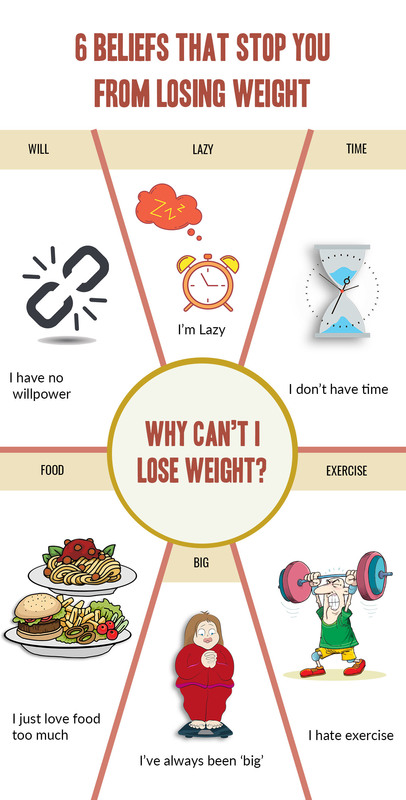 I highly encourage you to read my page ‘what is hypnosis?’ – it explains what beliefs are and more specifically, why weight loss hypnosis in Melbourne is the next logical step to gaining control of your eating problem. Do any of these statements ring true with you? If not, never fear: I’m an expert at finding your negative beliefs – just give me 15 minutes of your time. I could sit down with you and uncover your negative beliefs in 15 minutes. But what do you do once you know what those beliefs are? You can’t change them yourself because your conscious critical mind is always on alert – but I CAN. Detailed diagnosis and removal of the cause of your weight problem. Choose from 3 packages, depending on your budget. She came to my office feeling desperate and alone. She had tried and failed to achieve a healthy weight so many times that I was the second last stop – the last was lap band surgery. But what Rebecca didn’t realise was that no surgical procedure can take away the urge to overeat – especially if that urge is emotionally driven. She’d just come out an emotionally abusive 23 year marriage and her confidence was at an all-time low. Binge-eating was Rebecca’s way of coping with the stuff that had gone wrong in her life. Once Rebecca started to get a solid footing, she took baby steps. Those baby steps turned into big steps and then huge strides. By the end of her 4th session she had lost 4 kilos and was feeling refreshed, renewed and confident that she could continue losing weight without my help. …NOT the cause. When I ask my clients: ‘what will achieving your goal weight give you that you don’t have now?’ They almost always say ‘confidence’. But actually they have it the other way around. If you really felt happy within yourself, there would be no need to overeat. My client Sam can attest to that, and you can watch her testimonial video to the right. An essential part of my program revolves around building solid self-esteem, which is the cornerstone of any good weight loss program. Think of it like priming a canvas; when you create an oil painting, you can’t just paint straight onto the raw canvas. You have to coat it with primer first otherwise the oils will seep through the canvas and your work will be ruined. But when you feeling confident, when you’re able to handle anything that comes your way, losing weight is a piece of cake! And it’s not just ordinary people who are beginning to seek professional help for their self-sabotaging weight problems. Check out this article which explains how Oprah Winfrey lost weight by changing her mindset. If you’re really serious about making a change and you’re ready to work with an accredited hypnosis practitioner, you can request a free 15 minute assessment. I’ll show you where you’re going wrong, why, and what you can do to fix it. This meeting is obligation free – for both of us. I don’t work with everybody who contacts me; only people I really think I can help. Enter your details below or contact me directly to book your FREE weight loss hypnosis Melbourne assessment. Hi! My name is Sonia Devine, and I'm a qualified professional hypnotherapist practising in Melbourne, Australia. This website was developed and is maintained by my Wordpress Developer in Melbourne. 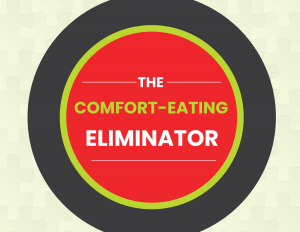 Get Your FREE Audio Power Track: "The Comfort Eating Eliminator"
Great! Where can we send your FREE Audio Track?